Always Carry Your Camera With You! Only if you had your camera with you! You are on your way to run a small errand and you witness the most magnificent sunset ever. You instantly take out your smartphone and quickly capture a photo or two but the quality of the photo makes you almost tear up missing your camera! I am sure, we all had this experience. Just when you see the incredible opportunity to capture an incredible moment, you’re at the scene without a camera. I agree that there are some instances carrying camera looks or feels socially awkward and it is sometimes impractical as well. However, you can always train yourself to think differently about the situation at hand! Forget about thinking what someone would say about you when they notice you carrying your camera gear with you everywhere you go. It’s not always about you wanting to capture the moment, sometimes you will also get an opportunity to learn. The most prominent photography institute is always yourself as you will learn more from the mistakes you made than from anyone else. By the way, this is my experience as well, in many occasions, I have left the camera behind thinking that I wouldn’t find anything and sometimes I thought is an odd time of the day to shoot. Sometimes the elements influence your decisions, e.g., rain or snow. But remember those are the best situations to photograph; most often the worst weather is best for photography. When you have a camera with you, you view & grasp everything around differently. Since you have your camera with you, you start thinking that you might as well capture it. This then leads you to perceive even everyday objects and scenes as something meaningful. You don’t look at the streets you walk daily in the same way as you used to. You never see the same critters, flowers, and trees the way you used to look at them previously. Everything starts to appear new which feels quite refreshing and soothing at the same time. It is not the big and fancy location that makes a good picture, it is always you who make a photo of your world you are living in. You should think of interesting stories or messages of the situation you captured. At times, we tend to get bored. Most often, this happens because our lives often become so monotonous – using the same mode of transport every day, coming across the same kind of plants and trees, but when you start photographing these things, you begin noticing certain intricacies that they have about them which you haven’t observed before. It feels like someone has elevated your sense of sight all of a sudden. Henry Cartier Bresson, a famous photographer, was right when he said: “Your first 1000 photographs are your worst.” What he means by this quote was that to master your craft (photography), you have to practice it as much as possible. Although I could ever say I have taken the best photograph as the saying goes, practice makes you perfect. The same applies when it comes to photography. If you want to capture different moments, nothing could be better than carrying your camera with you all the time. You can find a plethora of unique moments on your way which can boost your photography skills consistently over the period of time. Of course, it could be possible that the first photo you take might not turn out the way you would have expected, but this is the real challenge, you will need to be on it until you have succeeded. Sometimes, opportunities knock your door twice. The world is quite unpredictable. It’s beyond your limited understanding of what might happen next. It’s not in your hands to decide how the world will unfold. Thus, we’re completely ignorant of the fact what might occur or happen the very next moment. Being equipped with a camera can give you a golden opportunity to capture something unique that the world hasn’t seen it before. Photographing other people’s personal moments is one of those extraordinary experiences that you might not come across on a regular basis. Remember at times, the most unexpected thing happens when you least expect it. Going out and seeing two children laughing their hearts out is a cute moment that you would wish to freeze forever but not having your camera on you can stop you from doing so, making you uneasy all the while! To turn this disappointment into an opportunity, it is important that you always have your camera with you so that you never have to miss out on capturing rare moments. More you do it; you will get better at it. More you spend time outside more you will learn. Also, revisit your old images; helps you to learn from your own mistakes. For starters, you get better acquainted with your camera. You learn how to shoot in the camera manual mode or aperture priority mode. You figure out what works best in different lighting conditions and capture the mood. Things get even better! There are some habits that you will eventually let go off in your learning process. One of them is taking shots in an auto mode. You will soon realize how useless it really is. You’d rather prefer taking photos in a manual mode or aperture priority mode. Instead of letting the camera make decisions for you related to the aperture setting, ISO, and the shutter speed – you can take the machine into your own control. Remember, it is not camera taking photos, it is you making the photos, so the camera is your assistant for you, not the other way. Over the period of time, you will master the camera and the skills would help you to take the perfect shot you have been working on. Having a camera with you every time you go somewhere can give you more opportunities to become a great photographer. It’s not just about capturing moments, it’s also about how you capture them and if you have mastered the art of composition and game of light and shadow, you are not far away from taking the perfect shots! Comments Off on Always Carry Your Camera With You! This one is most probably for me; quite often I tell myself that the bad weather is going to be good. But still, I had a hard time convincing myself that it is going to be okay to go out. There were several weekends I just sat inside the home justifying myself that staying back was a right decision. And of course, ended up doing nothing! However, occasionally I ventured out when the weather was not perfect. Although I had some challenges dealing with elements, it was not as bad as I thought. So does bad weather put you off quite often? Do you find it as a hurdle between you and your plan ? Well, if you think deep fog, thundering rain, and fierce storm can stifle your photography sessions, consider going out. I agree that the bad weather is not a good shooting condition; however, the scene you are seeing is much more compulsive. Moody, ominous clouds can make for an excellent backdrop for your photographs. Generally, when the weather is uncooperative, and the wind is bashing you in all direction, it is hard to compose your images, and moreover, light may not be favorable either. But, there is something always static around you, and you just have to figure out your composition. Notably, in landscape photography, you can give a dramatic touch to your photos. However, gusty wind and low light may not be appropriate to photograph flying birds and other fast-moving wildlife; you could shoot amazing and dramatic landscape photography. Not that every visit you make to your favorite location is going to be productive. As a matter of fact, many of my ventures was unproductive. But here is a good part of it; you might have had a nice walk or met a new friend, and you might have exchanged your experience. A couple of months back, I was at the beach with an intent to photograph shorebirds, but the lighting condition was not at all in a favorable condition, and it was dark and cloudy. I had no choice to work with what I had at that time and did some landscape. Although it was not a masterpiece, the picture came out okay to me. Here in East Coast, rain is frequent and always windy. It is frustrating when you are shooting macro, and the wind blows in all direction and challenging to keep the focus sharp. However, the mildly blowing wind could add dramatic color fusion to your art. Although, now I learned this in a hard way I came to an understanding that It is not the weather causes the problem, but it is my thinking process and perspective. The wind is not always favorable elements depending on the subject you are photographing, we need to wait for the short pause. So, have your composition set and wait for the wind to stop. It may take a while, but it is worth a wait. Especially in the fall season, wind could help you to capture moving colorful foliage; so set the camera on the tripod, compose your image and wait for the wind. Although the dreary downpour may not please you that much, the post-downpour may add more color and freshness to your art. As soon as the rain ends, colors become more vibrant and intense; which will bring out the elegance of the elements. Also, after the storm; everything looks fresh and clean, every color in nature just pops out! After the rain, even wildlife come out of the shelter to catch the meal, and it is the best opportunity for you to capture when critters are busy foraging or hunting. Especially birds try to stay low which even makes easy to shoot at eye level. First of all, I am not a big fan of snow. For a while, I did not venture out at all during the winter season. However, very recently I started stepping out of my comfort zone. Eventually, I got used to it. There are some critters such as red foxes, owls and some waterfowls like winter season and it is an excellent opportunity to photograph these winter loving critters before winter ends. When food is not abundant critters, do come out to stretch their territory and explore other options. All you have to do is look out for the right location and try to visit the place again and again. If you still don’t want to go out during the snow and If you leave in a suburb or countryside you may be able to photograph birds and other native animals in your backyard. It is hard to carry around all the protection such as a dry bag, anything waterproof cover, etc., along with your equipment to keep everything safe when you need to hike a bit to get there. Here are some light protection materials I always carry in my pockets. Yes, Ziplocs are not just meant for Sandwich! Keep a bunch of lightweight plastic storage bags (such as Ziploc) in your camera bag. They come handy when you are in the situation where you don’t have shelter nearby. Always keep your extra batteries and memory cards in Ziploc bags. Ziploc bags are lightweight and flexible, you can stuff in lots of accessories in one Ziploc. Oh yeah! They are very handy and protects from rain very well. Just keep a couple of them in your camera bag. When it rains just cover camera and lens in a simple pull. And of course, don’t throw them away when done; they are reusable trash bags can be re-used for its actual purpose. 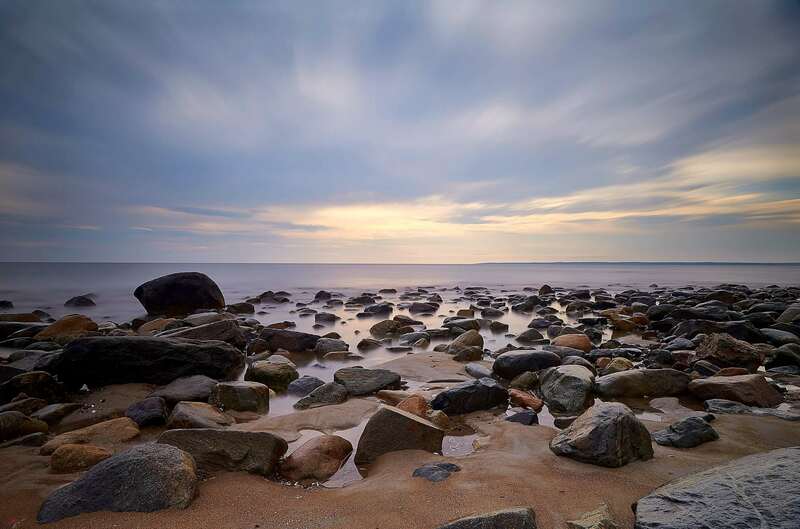 If you are on a short trip to New York or New Jersey during spring or summer season, then you might want to make some time to visit one of these beaches – Nickerson Beach (NY), Belmar beach (NJ) and Sandy Hook Beach (NJ). In the past, I visited these beaches many times, and it is safe to say they are some of the best places to photograph common and uncommon shorebirds. And of course, early to mid-summer is the breeding season, making it totally worth it to go to these beaches for your photography sessions! For those of us who adore the winged beings would agree that there is an inexpressible pleasure in capturing their birds in motion or photographing multitudes of these creatures. Whether you’re in New York or New Jersey, we have a few fantastic beaches in mind where you can capture beautiful photographs of shorebirds. Read on to know about our top three locations. Nickerson Beach located on the south shore of Long Island, New York in Lido Beach is one of the best places to photograph a large number of nesting shorebirds, some of which are considered to be endangered. 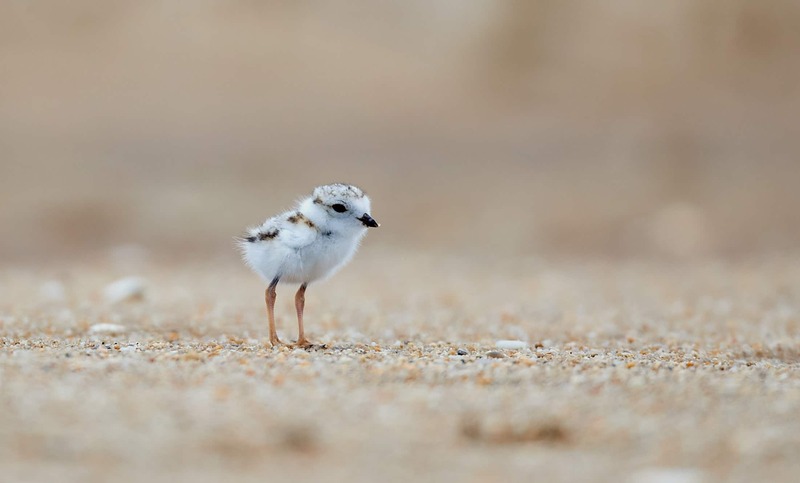 The most common shorebirds, the ones that you can find at this beach include – American Oystercatchers, Least Terns (rare), Common Terns, Black Skimmers, and if you’re really lucky, you might also come across the feathery, sand-colored Piping Plovers and Semipalmated Plover. These shorebirds bread at Nickerson beach. So, if you’re planning to visit this place, make sure that you come to this beach between April and August. Depending on the month you visit you get to see the nesting, mating or young hatchlings to juveniles. Early April to May is an excellent time to capture piping Plovers and Oystercatchers. On the other hand, early June is an excellent time to photograph young Oystercatcher chicks. 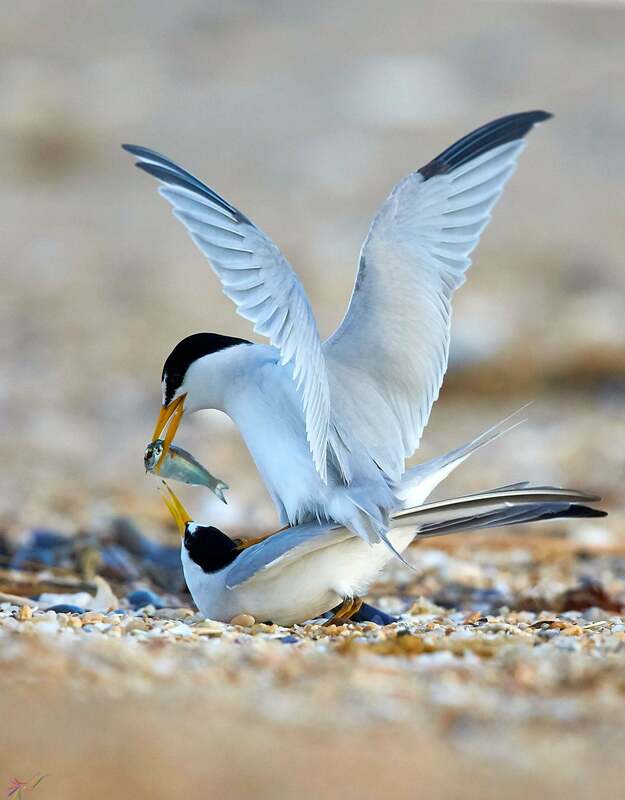 The month of June is also an excellent month to capture the common tern mating and nesting. You might as well see some young common tern’s chicks too! Common Tern’s, Black Skimmer’s and Oystercatcher’s eggs hatch in June-August; they stick around till September and then fly away. However, plovers are exceptional as they are the first to leave and generally don’t wait long, leaving the beach before September. Here you can find amazing opportunities to capture all kinds of behaviors of these breeding and nesting species – from terrific flight shots to birds carrying their food in their mouths to fighting over their prey – you will find incredible moments for your photographs. Although your trip to the Nickerson beach will prove to be an incredible one, the traffic congestion may cause some trouble. So, if you don’t want the traffic to mess with your creative process, visit this beach early morning before 8 AM! Known for sunny spots and amazing oceanfront, Belmar Beach is a popular destination at the Jersey Shore. 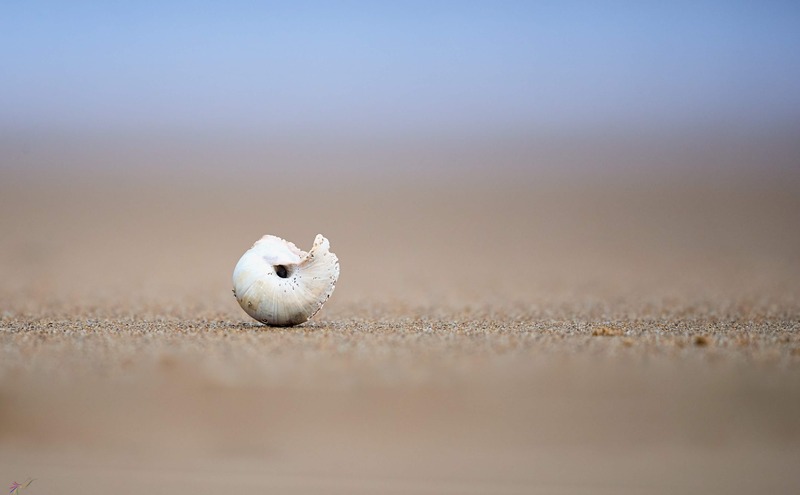 Belmar beach is known for nesting the endangered coastal birds such as the Black Skimmer, Least Terns, and Oystercatchers. But the good thing is due to the dedicated efforts of New Jersey’s wildlife refuge, there has lately been an increase in birds’ population to a certain extent. The locals love this beach so again, if you really want peaceful time to photograph at low light and beat the crowd, the ideal time to visit this beach would be early in the morning or on weekdays. Although it’s not allowed to go near the breeding ground of these species (as it is quite evident by the “do not disturb” signs posted everywhere), you can still photograph these species from a far distance if you have a decent lens such as 200-400mm or just 400 mm. A part of Middletown Township, Sandy Hook is another great place for shorebirds photography. You can easily visit this beach through a beach shuttle service. You’ll be glad to ditch your car and hours of heavy traffic behind. Common coastal birds you can find in this place, Piping Plover, Least Terns, Oystercatchers, Sanderling, the Semipalmated Plover and so on. Grab your camera and get busy clicking photographs showing birds catching insects or worms and feeding them to their young ones. So when should you visit either of these 3 beaches? Generally, summer is a great time to come out and visit this place. 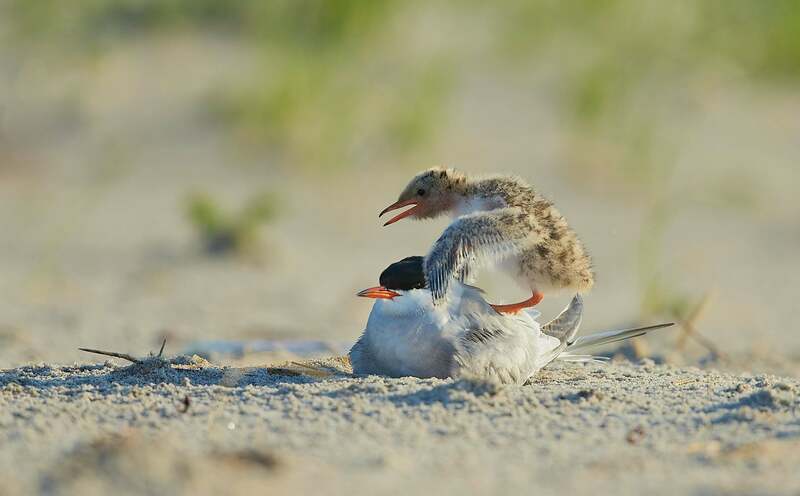 Most of the shorebirds especially Black skimmers spend their winter in other parts of the region, but as spring or summer arrives, they migrate to Sandy Hook. Irrespective of the bird you’re photographing, one thing you have to keep in mind is to take photos from a distance. Shorebirds are decreasing in numbers. So, it is vital that you do not disturb them and conduct your photo session with caution. 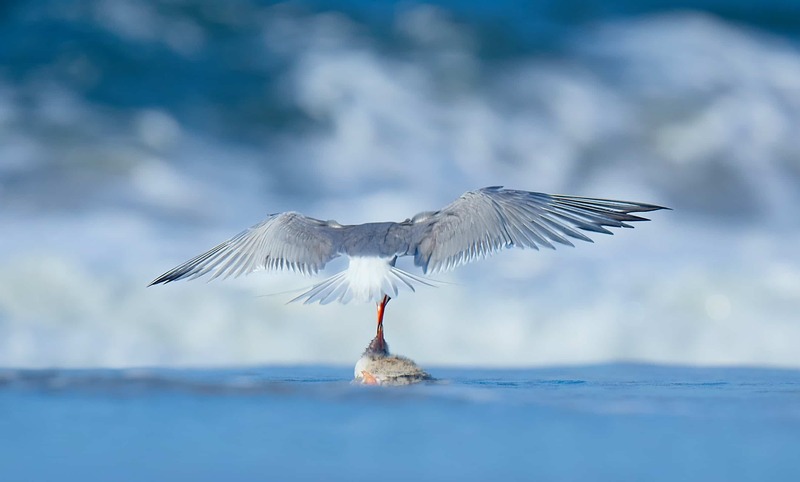 Try photographing unique behaviors of these birds set against breathtaking backdrops provided to you courtesy of the location!